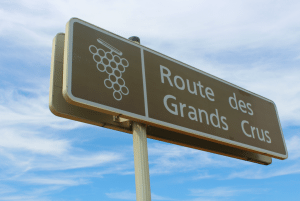 2017 is the 80th anniversary of the Route des Grands Crus. 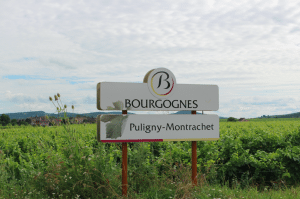 To mark the occasion, and to throw a spotlight on the beloved, and iconic, Burgundy treasure, we strapped our Go Pro Hero 4 camera to our Unu Electric Scooter and went for a spin down the Route des Grands Crus – just so we could celebrate its birthday in style! 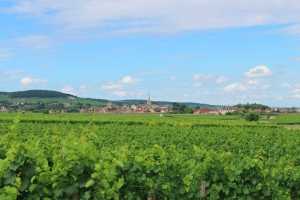 Rabbits jumping out from vines, tractors tending to terroir, horses’ ploughing rows, winemakers pruning and picking, cyclists dressed to impress in neon Spandex and wine lovers walking holding hands: these are all common, everyday sights along the Route des Grands Crus. 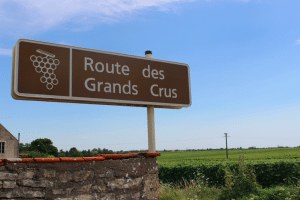 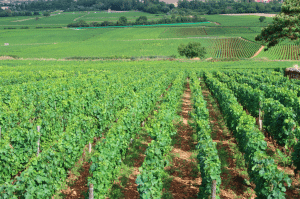 Route des Grands Crus: 80 years’ old this year! 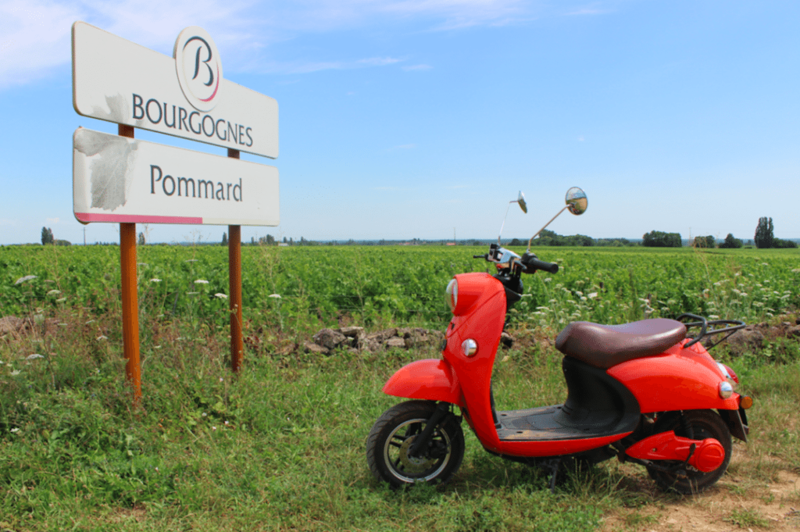 Last weekend, on a beautiful day filled with blue sky, we took our Unu electric scooter from the red wine producing village of Pommard to the white wine village of Puligny-Montrachet (and back again) allowing the three national colours of France – red, white and blue – to come out to play. 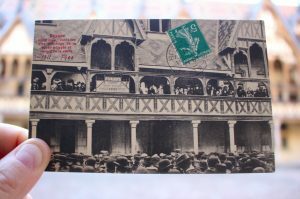 It is the 80th anniversary of one of France’s most famous national treasures, after all! 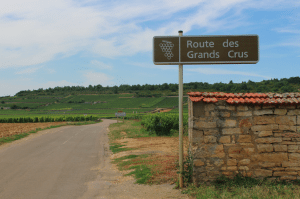 But it isn’t just the Route des Grands Crus that we want to proudly show off. 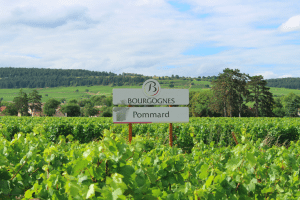 At Château de Pommard, we try to slow life down and aspire to enjoy Time not waste it, and we have taken our inspiration for our two-wheeled adventures down to Puligny-Montrachet from the recent Tour de France (which zoomed into Nuits-Saint-Georges on July 7th) and Slow TV, a format of television that takes the concept of “leisure time” to a whole new level. 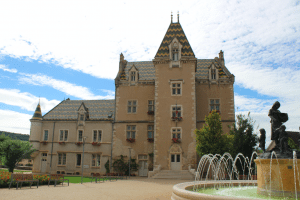 For those of you familiar with Slow TV, the modern phenomenon where viewers are transfixed by the “take it slow” aspect of watching TV, a theme we take very seriously at Château de Pommard. 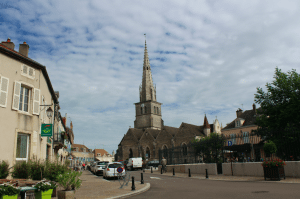 Slow TV centers around avoiding the instant gratification often sought in TV in favor of presenting a visual narrative that takes its time to gather pace and build to a crescendo; Slow TV is often represented by a long journey where nothing really happens. 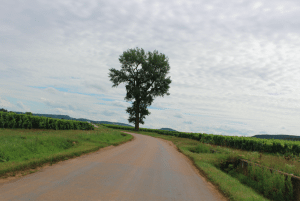 But at the same time, everything happens. 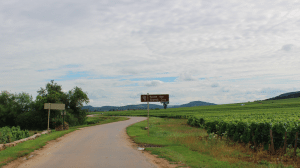 A Long Journey: The most famous slice of Slow TV is this seven-hour-long, 500km, Oslo to Bergen train ride. 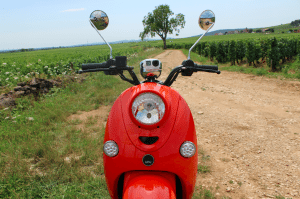 A HD camera is positioned at the front of the train. 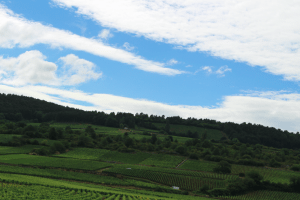 It’s boring and thrilling at the same time. 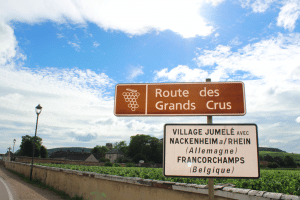 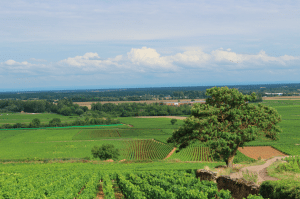 With the Unu’s top speed for the smooth Route des Grands Crus and the bumpier D113A and B average at 25-30km/h, the 9km stretch of the Route des Grands Crus allows for millions of vines to flicker magnificently into view at just the right speed. 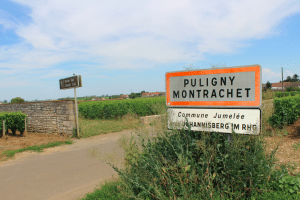 For a Pommard to Puligny round trip, the journey takes approximately one hour. 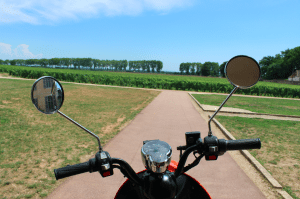 So, to all you scooter and cycle fans who have dreamt of spinning wheels on the Route des Grands Crus, this is for you. 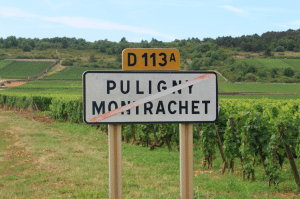 It’s as close and intimate to Burgundy as you can ever get. 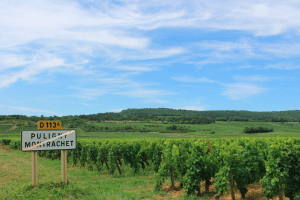 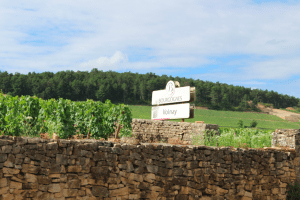 This is Part One in a series of video stories celebrating the world’s most famous wine road and the appellations that branch out from its long-reaching roots. 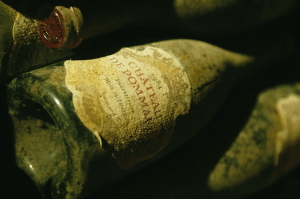 Stay tuned to www.chateaudepommard.com for more stories.